Well here we are – Spring and time to head to the Desert for the ‘Big NAB Show’. Up until recently, I had not planned on going again this year. For those that asked, I said I needed a really big reason to go there and, lacking it, I would not be in attendance. Then the phone rang with a call informing me that I was being presented with an award on Tuesday. A bit more information came my way and, at that point, it was mind-changing time. It seems that media publications are covering this pretty well so I will spare you the details. Looking at the NAB Show Website….Take a look at the North Hall. They created a large room with what they are calling ‘The Main Stage’. This is where the presentation will be made on Tuesday afternoon. Hope you can be there. If you have never been to the NAB Convention, you should, for sure, put it on your bucket list. For first timers they are always amazed as just how big this event is. The Las Vegas Convention Center is huge and this show fills it, and then some. April 7-12. With Cumulus now in bankruptcy, there are, as expected, a number of changes being made. One of them, centered in Chicago, recently got a lot of press. A rather famous radio station there, WLUP (called ‘The Loop’) has, for some time, been operated by Cumulus. Then came the news the it was being sold to EMF, resulting in a quick swap from Classic Rock to Contemporary Christian. Unlike a lot of radio format/ownership changes, this time they did not start playing funny noises or Christmas music. They had a big send-off featuring some of the station’s historic voices. Pretty cool. Apparently the format lives on, on another market station’s HD-2 channel. To put this into Seattle terms, this would be like KZOK changing owners and formats to something similar to KCMS. 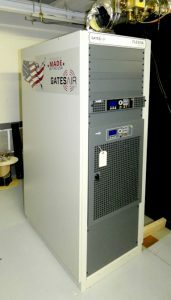 Coming as a bit of a shock to many, GatesAir has announced they are suspending the sale of AM transmitters. The reason cited is a shortage of what they call ‘critical components’, explaining they have enough for product support, but not enough to keep making new transmitters. I suspect there are some stations that have taken this as their cue to stock up on things, especially certain solid-state devices that are usually the first to become hard to get. Another factor here is that, with the market share for AM getting smaller, not many owners are investing in new AM Radio hardware anyway. GatesAir, by issuing a very carefully worded statement, has not shut the door completely on future newer AM Transmitters. The decision pretty much leaves the high-power market to Nautel. I suspect that not many broadcasters are investing in new AM Transmitters these days. Obviously Bonneville, who operates a pair of AM’s in Seattle (KIRO-710 and KTTH-770) feels the other way. 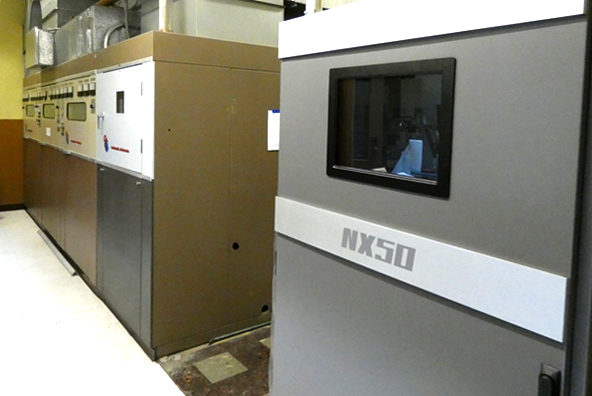 That’s why I feel so fortunate to be able to play a small part in the installation of a new Nautel NX50 at KIRO. To set the stage….Since 1997 KIRO has been operating a Nautel ND50 as their main transmitter (shown above)..Their backup has been a pair of legacy Continental 317’s. The older of the two, dating back to 1975, has been removed and somewhat parted out. (That one took the place of their old Western Electric.) One of the cabinets (shown on the right) on a hand-truck heading to the door. Replacing the old CEC 317 is a new Nautel NX50 shown here with its new master – Steven Allen. This will be the 2nd NX50 in the area, the other being just down the road at 1090. It’s amazing how much smaller this new transmitter is compared to the ND50. It’s about 1/3 the size. Fortunately, Steve also maintains the 1090 NX50 so is quite familiar with this model. The screen you see in the middle of the front is what the maker calls an AUI or Advanced User Interface. It will be filled with a colorful display of everything you’d ever want to know regarding the operation of the transmitter. Not only is the transmitter smaller, it’s much more efficient, thanks to the use of what’s called LDMOS devices. The ND 50 required a considerable about of air-handling. Steve was telling me that the NX50 will exhaust into the room. The experience I have at West Tiger Mt. with KIRO-FM’s Nautel GV30 is that the transmitter does not produce enough heat to keep the transmitter room warm in winter. What a change from the days of vacuum tubes, or, for that matter, the previous generation of solid-state transmitters. Below, you can see the new NX50, standing in the former location of the older Continental 317. To the left is their newer 317 that was installed back in 1985 that will become what’s known as in the trade, as a deep backup. Obviously the newer, and all solid state, ND50 will become the primary Auxiliary.The cabinet to the right of the old Continental is the Dummy Load used with that transmitter. The much older Continentals generated a lot of waste heat, requiring a considerable amount of fans, blowers and related duct-work, some of which is visible in this picture on top of the unit. If you are keeping track, Vashon Island is now home to 4 Generations of Nautel AM Transmitters. Counting just the 50,000 Watt Transmitters on Vashon, there are 5 Nautel and 4 Harris (now GatesAir). The frequencies running 50 kw transmitters are – 710, 820, 950, 1000 and 1090. Just to prove that I was indeed there – Below is a ‘selfie’ of me looking at the display of the NX50. At one time there were several makers of 50 kw AM Transmitters. RCA, Gates, GE, Continental….and many more were making lower powered models. 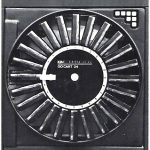 The transition from Tube to Solid-State electronics changed a lot of things, for one, it provided an opening for the Canadian manufacturer, Nautel to enter the business, producing one of the first 50,000 watt AM transmitters without a vacuum tube. A couple of those are still installed here in this area at 1090 and 1210. 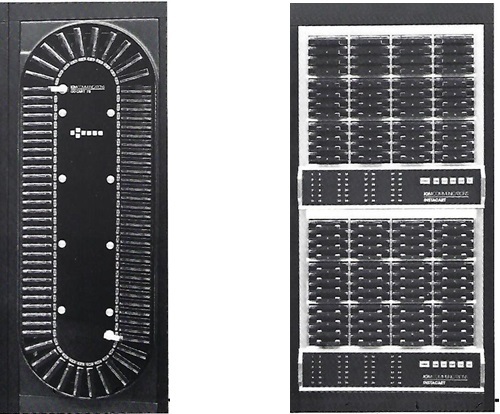 GatesAir (then called Harris) also produced 50 kw Solid State Transmitters, the DX50 and 3DX50, that sold well. They are on the air on 770, 820 and 950 from Vashon. It was not unusual for a broadcast transmitter to be in service for 30 or more years. Today the life-cycle of all electronic devices has become shorter. For example, the average desk-top computer is lucky to make it to 5 years….ditto for the office copier. In the radio industry this has not gone unnoticed. Today’s transmitters are not likely to be in service for 30 years. Being big ticket items, shorter life-cycles are hard for many to swallow. 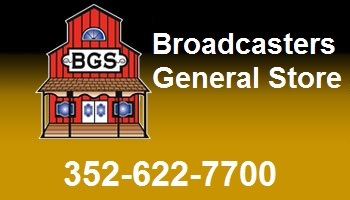 Sure, smaller AM radio transmitters, with power levels 10,000 watts or under cost less than the higher powered models, however, expressed as a percentage of the profit of a smaller, lower-powered station, transmitters are still one of the more expensive pieces of equipment they own. The expectation that a piece of equipment is going to last a long time is a hard thing to change. Have you ever wondered what happens to an old AM transmitter when it’s time is up? Other than a museum piece, there is not much interest in those huge old 50,000 watt monsters. On the other hand, there is a lot of interest in the lower powered 1,000 watt models that are commonly grabbed by Amateur Radio operators (Hams) that are interested in preserving these creations and converting them to use on Amateur Radio frequencies. Making these legacy devices work there is not that difficult if you look at the fact that Hams have a ‘band’ of frequencies they can use that is ‘just above’ the AM Broadcast Band, 1800 to 2000 KHz. It’s called 160 Meters. Some more ambitious types change their frequency to operate in the 75 Meter band (3.5 to 4.0 MHz). If you have a shortwave radio, some evening tune to the 160 meter band. Chances are good you will hear Hams talking to each other using one of these historic transmitters. Here are a couple of links to U-Tube videos that will show more about the topic. One of the contributors is Pete Policani, K7PP. Pete and I go way back to when we were in high school together, later, I took his place at KMO in Tacoma. Do you have an AM transmitter restoration project you’d like to tell us about? If so, drop a message about it to radio@radiomagonline.com. Glad to see there is wider interest in this topic. Trust me, if I had the room, I’d have a good old Collins, Gates or RCA transmitter on the air at K7CR. For many years Apple has been one of the biggest players. In fact, it’s been the world’s most valuable publically traded company. Guess what? – That Seattle based Zillion pound gorilla is about to take the top spot….Yep, Amazon may become a $1 Trillion company. If you are like me, you have almost become used to receiving Robo-Calls daily. I get them on my home and cellphone. The big game now is number spoofing. Sometimes I will call the number back just to find out the person answering is not pleased with the fact that someone is using ‘their’ phone number. Email is much the same – with one interesting exception – receiving junk/spam email with the senders address the same as yours. Last time I checked, I will not be sending myself junk email. Sorry to hear about the February 26th passing of Ron Diotte. Ron spent a number of years with KSTW-TV as the station’s Chief Engineer. He was 62. Related – A number of us gathered in Tacoma recently to remember Al Bednarczyk. The gathering was organized by KBTC-TV’s Darin Gerchak. Darin said that he was thinking we should get together, periodically. I was recently driving down Pacific Highway in Fife when I suddenly noticed that the building that housed KMO Radio, where I worked for many years, was gone! Just a gravel outline of the building is all that remains. I tried to find a picture of the place. The closest I could come up with is the following. KMO had moved out many years ago and the building was being used for other purposes. The old tower behind the building had it’s top-half removed and was being used as a cell-tower. Later that was torn down and a cellular ‘pole’ erected. It’s still there, but that’s all. I started work in that building in May of 1966. 4501 Pacific Hwy East. A place that many will remember for years to come. Well, It finally happened. Now we have two of the biggest radio station ownerships, Cumulus and iHeart Media are officially bankrupt. I’m not going to pretend to be qualified to explain how this came to pass. However, I am going to provide you with a couple of links to comments of others that pretty well sum-up how this came to pass. The comparison to the failure of Toys-‘R’-Us is interesting. Now the messy job of determining who gets paid, who gets paid less than what they are owed and who will go away with nothing. One thing I am confident about, the likelihood that the lawyers that worked on these deals will do OK. 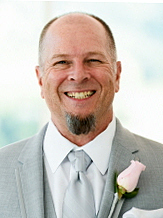 Recent Seattle news is that Matt Green is leaving Entercom. At this writing, it’s not been announced who will be taking his place as Chief of the Entercom cluster of 5 FM’s in Seattle. I’m sure that you either own or have heard about these devices known as ‘Smart Speakers’. Popular models have names like Siri and Alexa. Someone has posed this question – If you were to put Siri and Alexa together – would they have a conversation? With all the talk about AI one has to wonder if the day will come that we will walk into a room where two machines are talking with each other. Perhaps this will only take place after everyone is gone and the lights have been turned out? The big shuffle of TV channels into less spectrum, commonly called Repacking, is, in some cases impacting radio stations that share towers with a TV station caught in this shuffle. In some cases the radio station is facing some serious economic issues (dare I say they are negatively impacted). This issue has migrated up to the congressional level in the hope that some of the Federal Funds the TV stations are receiving might come their way also. Looks like it might happen. 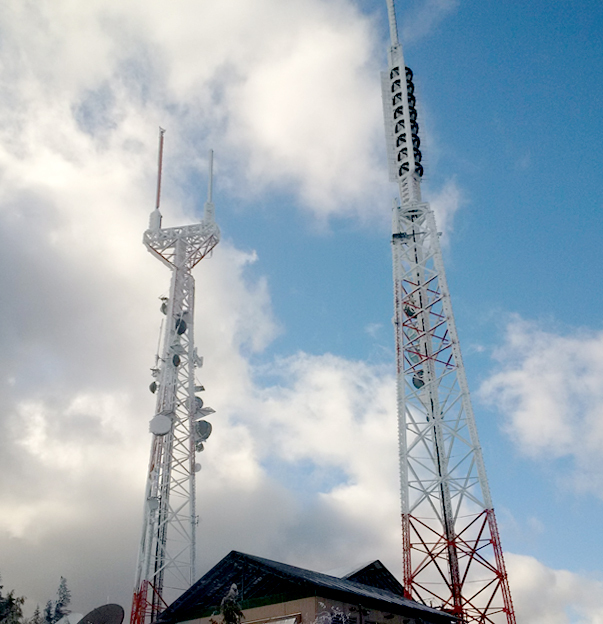 Another station in the Seattle area recently took delivery of a new transmitter. 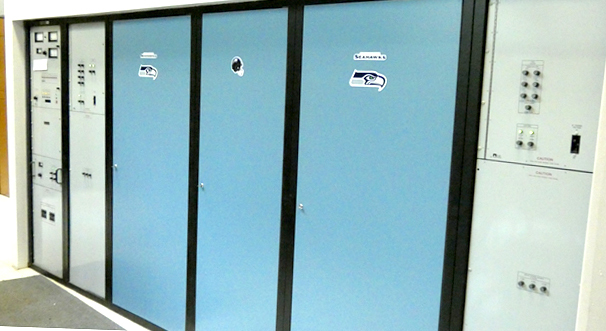 The Seattle School District’s KNHC (89.5). I got this picture shortly after it arrived at one of the ATC Sites on Cougar Mt. As you can tell, it’s a GatesAir Flexiva 10 Kw Model. I find the signage on the side interesting – could that be directed at Nautel (a Canadian company)? Buzz Anderson is handling the installation at the former Entercom Site on Cougar Mt. Earlier in this Column I wrote about AM Transmitters. Perhaps one bright spot comes from Orban who has announced they are coming out with something new in the way of Audio Processing for the legacy band. They call it XPN-AM. It’s been a long time since anyone produced a new audio processor for AM. For those of you that are not that technical, you may be wondering what an audio processor is. Let me go back a few years and explain that this term did not exist when I started (over half a century ago). Back in those days broadcasters would employ several electronic devices between their studio console/mixer and their transmitter. First was a device called an AGC or Automatic Gain Control. This device ‘leveled’ the difference in volume between various sources of programming. Often this was followed by a ‘Limiter’ that prevented the transmitter from being ‘over-modulated’. Over-modulation would not only cause distortion, but was a violation of FCC rules. As years went by, these devices, along with some other tricks of the trade, were rolled into one unit. Tubes were replaced by transistors and later integrated circuits and computer based hardware. Today these devices are called ‘Audio Processors’. Not only do they keep volume levels constant and prevent over modulation of the broadcast transmitter, but they enable the station to ‘customize’ the sound they produce. Now, back to AM. Something new that would make AM sound better is likely to attract some attention at the Orban booth at this year’s NAB convention. In the event you have not noticed – we have one less AM signal in the area these days. 1300 KKOL is quiet. 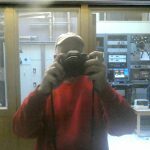 Good source of rumors that yet another AM was biting the dust….Not so, apparently the owner, Salem, elected to turn off their 50 kw Tacoma transmitter in preparation to their move to Bainbridge Island where they will become the area’s first ‘Tri-Plexed’ AM facility, sharing the site with co-owned 1590 and 1680. 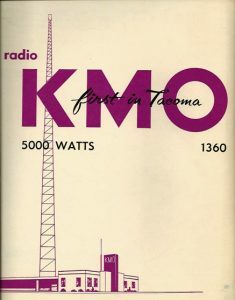 Could not really count KKOL as a Tacoma station. The station remained licensed to Seattle. When the time came to depart their historic site on Harbor Island in the Port of Seattle, they just happened to end up using a site for the past several years in the Port of Tacoma. The Tacoma area still has some AM’s. …. 1180, licensed to Lakewood – actually has studios in Lakewood!! Oh well, the Main Studio rule is long gone anyway. KQMV has bumped KUOW to reclaim the #1 spot. KIRO-FM is holding on to the #3 slot. iHeart Media is the apparent big winner as a result of the recent swapping of stations, ending up with 4 of the top 10 stations (Entercom and Hubbard each have two). So far KKWF is leading the country music race ranked #14, while the Hubbard country station is ranked #22? Entercom’s decision to dump country in favor of AC on 94.1 appears to be working with the station in 12th place. KNKX is holding steady in 10th, giving Seattle two non-comm’s in the top 10. There are a couple of ties. Tied for #9 is KBKS and KNDD. Tied at #16 is KHTP and KPWK. As my readers have long known, I’m a fan of the FM Version of HD Radio, having installed many of the first systems in this market several years ago. Today there are a lot more receivers out there resulting in increased interest in making the brave move of providing unique programming. Kudos to Entercom in Portland who has launched an HD2 channel on one of their stations (KGON) for the Portland Waterfront Blues Festival. They call it Waterfront Blues Radio. As usual, Nautel will have a big presence this year in the North Hall. This year they will be showing off something really new, a broadcast station running all digital with 12 HD Radio Audio Channels. The way they are doing it is unique. Using an ‘even numbered’ frequency on the FM band. In last month’s column I ran a picture of an old radio automation system. Behind her head was a machine full of broadcast audio cartridges that were used, back in the day, to play commercials and other announcements.These little plastic boxes with an endless loop of tape inside were introduced to the broadcast industry back in 1959. Initially these little critters were used to replace Reel-to-Reel tape machines that were used for the playing of commercials (spots), etc. No more having to thread, play, rewind, etc. I remember well working in a broadcast station that only had two turntables and two tape recorders. You were very busy. My first encounter with Tape Cartridges was in 1961 when the station owner walked in and handed me one with instruction to hook it up. At the time, this was all new. Initially the machines that were used to record and play them back were all manually operated. Studios were filled with racks of them. All you had to do is slide the cartridge into a playback machine and push the button. The problem was there was a need to incorporate the tape cartridge into something that would enable a broadcast station to be automated (like the one in the picture from last month). This need created a number of solutions from various manufacturers. Viewed today, they were electro-mechanical marvels. 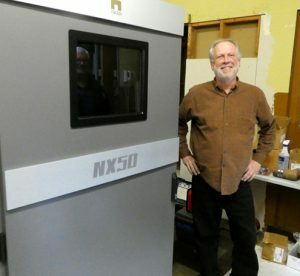 The need and desire for a machine that would handle more than 24 cartridges led to the development of bigger and more sophisticated devices. A couple of these are shown below. The one on the right (and in the picture from last month) was a substantial change. Rather than having the cartridges move, they stay in place and could be played in any order. This solved the problem of the ‘spot’ that played often. Also this enabled the more capable computer systems that were coming along to provide for significantly more walk-away time. The Tape Cartridge had a long, 40+ year, run as the device of choice for radio stations. Later, as their quality improved, music was recorded on them. 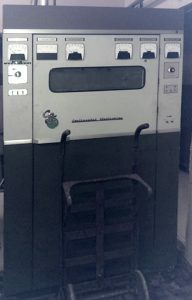 Late in the era of the tape cartridge, most of the recorded audio heard on a radio station was being played by these machines. TV got into the game as well. Just as in radio, TV spots were…for many years, played on reel-to-reel machines. This changed when RCA and Ampex began producing machines that would play the video version of radio’s tape cartridge. In that case, they used tape that was 2 inches wide using much the same format as used in the video reel-to-reel machines. Mike Brooks of KING-FM often contributes interesting tidbits to this column. This month is no exception. 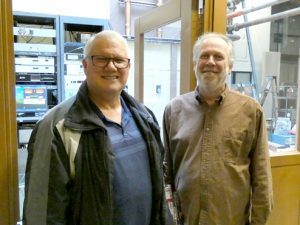 Once a year, in March, the Mike and Key Amateur Radio Club has an electronic flea market at the Fairgrounds in Puyallup. Mike scored this item, an obviously in-house constructed remote amplifier used, at one time, by KING-AM in Seattle. If anyone has any information about the history of this item – Please either send it to me or to Mike at KING-FM. Picture time!!! This picture taken of one of the two American Tower Sites on West Tiger Mt. east of Seattle comes from ATC Site Manager Joe Taylor. Note the nice coating of ice. By chance have you been following the FCC’s Spectrum Plans that could impact the highly used ‘C-Band”? If not, you’d better!! Once again pressure for spectrum to accommodate all those wireless gizmo’s that we find ourselves unable to do without is causing the ‘Commish’ to, once again, try to figure out how ‘Sharing Spectrum’ with existing users might be the answer. If you have a C-Band system, you’d better, quickly, get engaged with this one. This is not something that you can put on the stack on the back of your desk. For reference, the NOI is (GN Docket No. 17-183). There are thousands of Radio Stations that receive programming via C-Band just for openers. Rest assured this has the attention of many of the major operators. You would be wise to not to sit back and let the big-guys battle this one. If you have a C-Band Satellite system – my advice – get involved – NOW! There continues to be a steady stream of news about how the hot-Seattle real estate market is driving up prices and taxes. Perhaps news that many are moving from California for the same reason might sound worrisome. According to the piece I read, most of them are moving to Nevada, Arizona and Texas. I chatted with a server recently in a restaurant we frequent. He was telling me that a friend of his recently moved from Seattle to Dallas and got a comparable place to live for half what he was paying in Seattle. One factor driving up Seattle housing costs is the fact that many Chinese are investing here. BC recently has been looking at imposing a tax on foreign buyers, this in an effort to make it easier for domestic buyers. Problem is that Seattle, apparently, is not doing this, resulting in continued upward price pressure in this area. Headline – Seattle median home prices jump $20,000 in a month to $777,000. OK, so Seattle is really expensive. Can you find something cheaper on the other side of Lake Washington? Well…Maybe not. Reportedly over there (called the Eastside), the median price for a home is at $950,000 and going up. Another interesting fact to consider – population growth. According to the latest Nielsen radio ratings report, there are now 3.863 Million people over the age of 6. This has pushed the area to become Market #12 in the US. We have a ways to go to catch up with Los Angeles, the biggest market on the West Coast, with some 4 million within the city and 10 Million in LA County. Of course, they have a much larger land area than Seattle will ever have. Reports are that people are leaving San Francisco in great numbers due to that area’s high cost of living. According to Redfin, San Francisco lost more residents that any other city in the country in the last Qtr. of 2017. Another study showed that 49% of residents of the Bay Area would consider leaving California because of the cost of living. Is Seattle going to be the same? Areas on the other side of the Cascade Mountains are becoming increasingly attractive due to their lower prices. There are many now that are commuting into Seattle over Snoqualmie Pass from areas on the other side. Another option is living on a boat. Often the cost of ‘living aboard’ could be the only way you can afford to continue to live in these rapidly growing areas. Here’s a study that made me scratch my head…. “One in 5 Homes Use Digital Antennas for Live TV”. Whoa! A Digital Antenna? Wait a minute, how can a piece of aluminum become a ‘Digital’ Antenna? This reminds me of years ago when Color TV was coming out. Many were convinced that they had to replace their old ‘Black and White Antenna’ with a new model designed for Color. Remember the name ‘Colorceptor’? Apparently an antenna becomes ‘Digital’ when it’s used to receive ‘Digital’ TV. Much like the antennas of old became ‘Color Antennas’ when used to receive Color TV? Of course, I had to think of how this naming convention applies to radio. Radio folks are not quick to jump on these things for the simple reason that you would find it hard to find a radio antenna for sale, not to mention few even would think to look for one. Gee, would not HD radio work better if you had a Digital Radio Antenna? Speaking of which – If you have a newer vehicle – where in the world did they put the radio antenna? Vehicle makers have long wanted to get rid of the ‘car radio whip’ and set out to put the antenna in the front or rear glass. But not anymore. Now we have this gizmo on the roof (commonly called a shark-fin) that apparently handles – AM – FM- Satellite and GPS duties. My question is how does it work so well on AM? I guess it could be called a – Color Radio Antenna – as they are always the same color as the vehicle they are attached to. Kudos to the FCC for their recent crackdown on Pirate Radio stations. 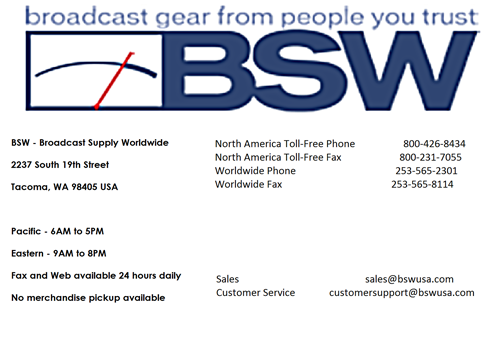 One of them was operating in Des Moines, creating issues with the reception of KNKX/88.5. The Portland office of the Commission determined who the operator was, etc. The crack engineering department at KNKX, I understand, assisted. Keep hearing that the FCC is going to gain new ‘tools’ for dealing with this issue. Hopefully the FCC will not fall back to the technique they used to maintain order on the CB Band (throwing in the towel and giving up). Confiscation of equipment and jail time if the fine is not promptly paid sound good to me. If you recall, I wrote that long time WSU Broadcast Engineer, Don Eckis, had retired. It’s been announced that Brady Aldrich has accepted the position in Wenatchee. Brady has roots here in the PNW and is reportedly happy to be returning to the area from working in Mississippi. I understand that his Dad worked in broadcasting in Seattle too. Well, my friends, time to ship this off for another month. I hope to see many of you in Las Vegas at this year’s NAB.